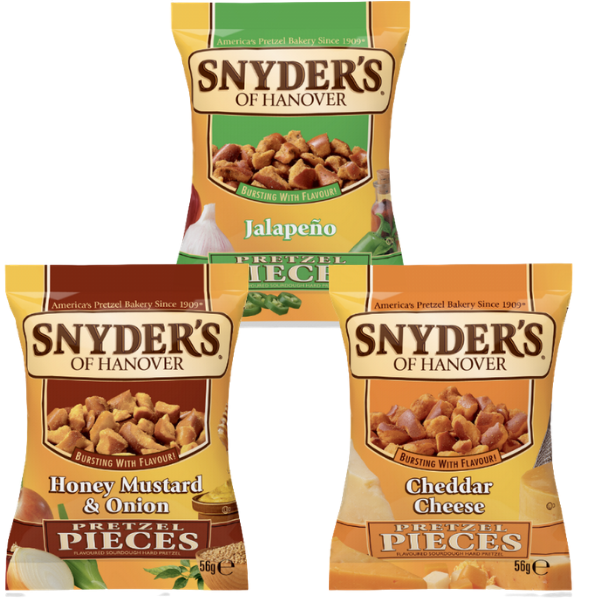 A selections of 5 flavours of pretzel pieces from Snyders and Directors Cut. Case Size - 12x56g and 30x56g. NO VAT. Case Size - 12x42.5g & 30x42.5g. NO VAT. 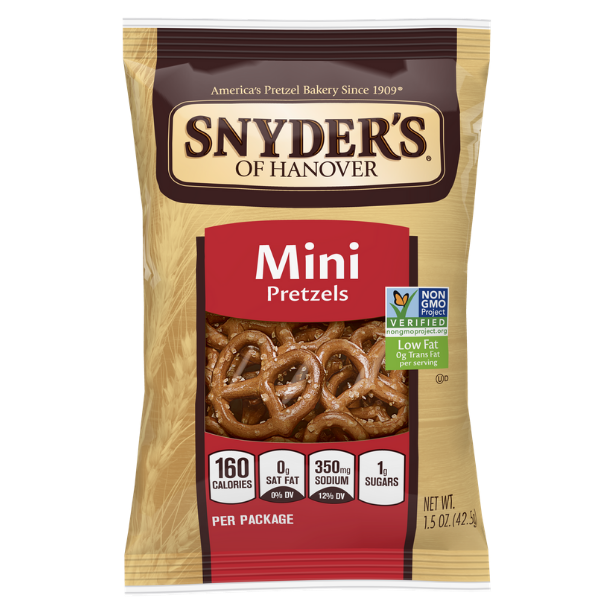 Case Size - 10x60g. NO VAT. Case Size - 12x56g or 30x56g. Case size 30x56g. NO VAT. Create your own, select from 5 Flavours.